Perth Band 651 are influenced by the great bands such as Creedence Clearwater Revival, Neil Diamond, AC/DC, Amy Winehouse, The Beatles, Stones, Bryan Adams, Dragon, The Church, Angles and many other Aussie rock bands You know all our songs, we play for you to dance and sing along to the favourite we all grew up with. Easy recognisable from the first signature guitar lick at the start. For past 8 years Perth Band 651 have been playing around Perth and the suburbs at private parties and corporate gigs. 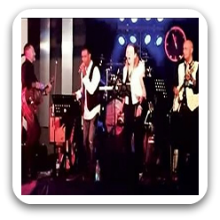 Let the Perth Band 651 help you relive some of the absolute classic hits and get you dancing and singing along to the fun our guys enjoy putting on a stage show for you. Can perform as a: 5 Piece Band and are available to perform in Perth and Surrounding Areas.